On Wednesday, former Air Force intelligence office Monica Witt was charged with espionage for allegedly defecting to Iran and helping create a cyber-spying operation which targeted her former colleagues. CBS News reports that Witt is accused of defecting to Iran in 2013 and sharing highly-classified U.S. intelligence about a classified Department of Defense program. Authorities claim Witt collaborated with the elite Iranian military unit, the Islamic Revolutionary Guard Corps. "Monica Witt is charged with revealing to the Iranian regime a highly classified intelligence program and the identity of a U.S. Intelligence Officer, all in violation of the law, her solemn oath to protect and defend our country, and the bounds of human decency," assistant attorney general John Demers wrote in a statement. Witt, 39, had high-level security clearances and was in the Air Force from 1997 to 2008, then became a Defense Department contractor until 2010. She also reportedly went abroad several times on counterintelligence missions. Witt learned Farsi at a U.S. military language school and allegedly traveled to Iran for an anti-American event that promoted “anti-U.S. propaganda,” and returned again in 2013 when she was provided with housing and computer equipment to work on behalf of Iran. Her work allegedly included sharing classified information and assembling dossiers on eight of her former U.S. intelligence colleagues. U.S. Attorney for the District of Columbia Jessie Liu said that Witt sought to “undermine the U.S. and help the government of Iran,” ABC News reports. Reuters also reports that the FBI warned her that Iran’s intelligence services wanted to recruit her, but she said that if she returned to Iran, she would not talk about her intelligence work. Yahoo News reports that she wrote a message claiming that she might “do like [Edward] Snowden,” the former US intelligence contractor who leaked thousands of highly-classified documents about the National Security Agency in 2013 before being granted asylum in Russia. Witt is facing one count of conspiracy and two counts of delivering military information to a foreign government. A warrant was also issued for her arrest but she is believed to be in Iran. The FBI wanted listing says Witt was born in El Paso, Texas and her aliases are Fatemah Zahra and Narges Witt. Iranian hackers are accused of setting up fake social media accounts to befriend the agents that Witt provided information on to try and install spyware to their computers. 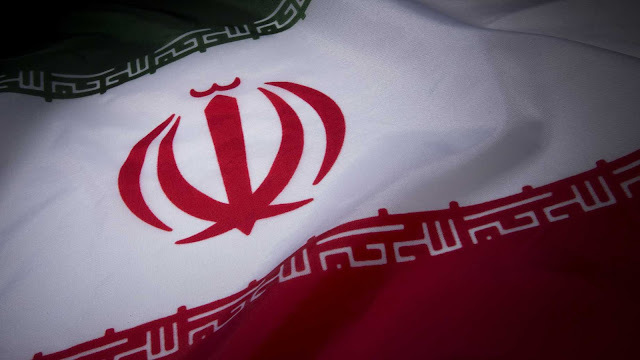 Four Iranians were also charged for conspiracy and aggravated identity theft including Mojtaba Masoumpour, Behzad Mesri, Hosseini Parvar, and Mohammad Paryar.